We’re fresh out the cinema from watching the brand new Mamma Mia movie, Mamma Mia, Here We Go Again! and can’t help but feeling jolly whilst spontaneously bursting into Dancing Queen. 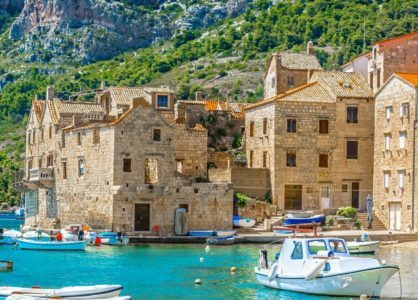 We had an Unforgettable Croatia Team outing to watch the film because, although the film is set on a fictional island in Greece, it was in fact filmed on the Croatian island of Vis. ABBA for the sake of research – tough job, right? We recognised lots of familiar sights on the remote island. 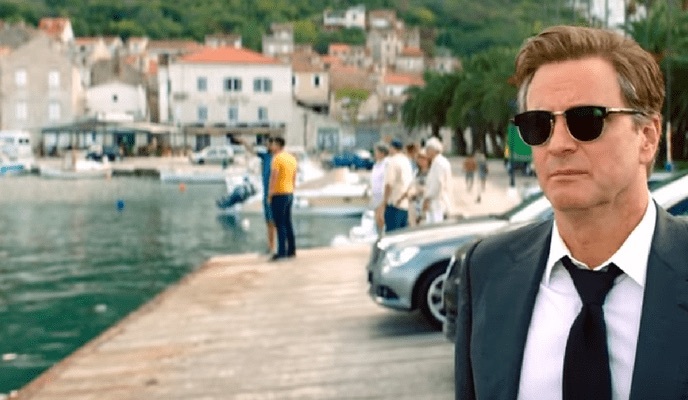 It was funny to see all the A-listers hanging out in little Komiza Town on their arrival. Here’s Colin Firth with the quaint backdrop. 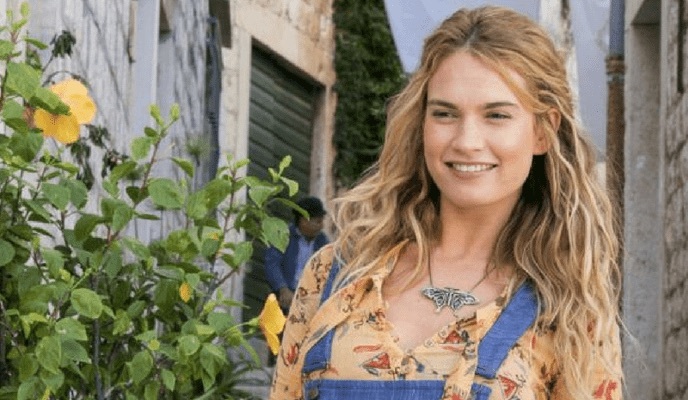 The film also features Lily James, who plays a young Meryl Streep. The plot runs in two stories; one shows how Meryl Streep’s character, Donna, came to be on the island. Along the way she meets three young men played by Hugh Skinner, Jeremy Irvine and Josh Dylan. Donna’s daughter, Sophie, is played by Amanda Seyfried. In the second story Sophie tries to finish the transformation of a farmhouse to a hotel that was started by her mother. 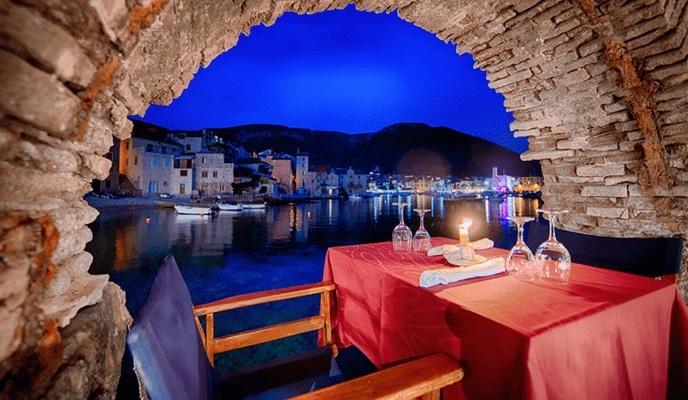 Another Vis feature is restaurant Jastozera in Komiza. This was the picturesque setting where, towards the end of the film, Colin Firth and Stellan Skarsgård rediscover an old acquaintance and rally local families to come to the opening of Hotel Bella Donna. Vis’s gorgeous, rugged coastline features prominently. We love this view of neighbouring Bisevo. Don’t miss our recent blog post where our Croatia travel experts recommend visiting Bisevo and its famous blue cave, as well as lots of other off-the-beaten track ideas. Fancy a visit to Vis yourself? 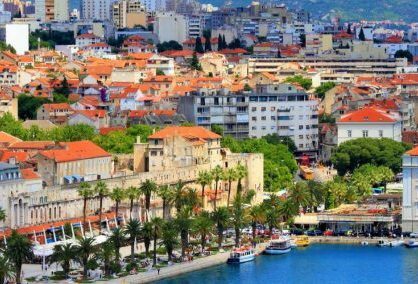 All of our luxury Croatia cruises stop in Vis giving you the chance to get a taste of this traditional and stunning island. 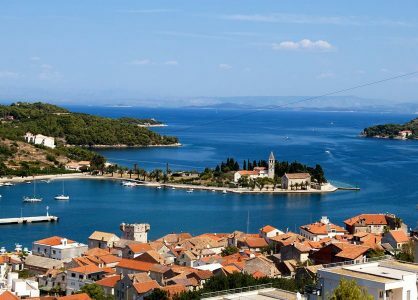 With over 1000 islands to choose from, in Croatia, it can be challenging to decide which idyllic island to visit.